I feel no need to bring in spring with fanfare this year. For me, spring is nothing more than a necessary but damp and awkward passageway of sore throats, watery eyes, and frizzled locks to what I’m waiting for: the real sun and the real heat of summer. But I will admit that the strain of plucking a single flower, even a bunch, from the roots is far lighter than that of shoveling heavy, damp, packed snow; trekking through untamed city streets; and drying off cold, wet feet. It beats the clenching of knuckles and fists on the steering wheel, as they fight against sheer ice, and thick ice, and black ice, and wipeout-inducing ice. The warm scent of rain wins over that of the stagnant air inside the house. And the excited chirps of birdies back from vacation outweigh the grating sounds of the early morning plow trucks, signaling that is was not a good night. It’s the Persian New Year today too, yet that also feels unreal. A holiday that so beautifully celebrates renewal and good fortune does not resonate with me today. I hope this little side dish bridges the gap. It’s a transition dish if I’ve ever made one. It’s a marriage of the winter produce and flavors that are supposed to be going out of season and the spring produce that’s supposed to be coming into season. But they’re also ambiguous veggies, whose varieties are at their peaks at different points throughout the year. It’s a marriage of winter flavors — ginger (which I really utilize all year long, citrus, and, well, butter — and spring freshness. It uses cold-weather technique — braising and browning — on a quick, warm-weather time schedule. But it’s so very simple that it helped me bridge the gap — to cope with March’s particular oddness this year. This is a casual recipe. When I tested it, I learned it is very much a “to your taste” recipe. Feel free to play with the amounts and types of flavorings. 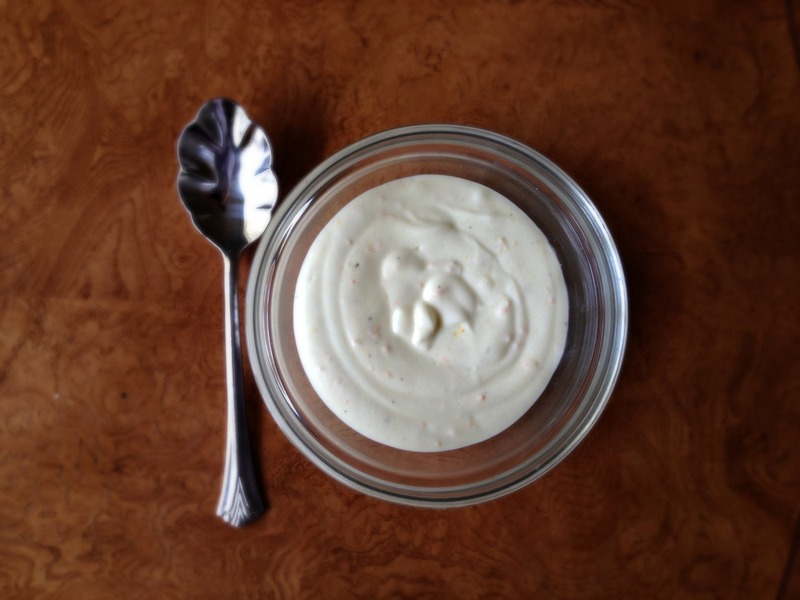 For the sauce: Meanwhile, combine yogurt, oil, and orange zest and juice in small bowl. Season with salt and pepper to taste; set aside. Remove cover from pan and bring to boil over medium-high heat until liquid has evaporated. Carefully flip vegetables and cook until bottoms are browned, about 1 minute. Gently push vegetables to sides of pan. Melt remaining ½ tablespoon butter in center of pan. Add grated ginger, if using, and stir until fragrant, about 30 seconds. Carefully toss vegetables to coat with butter and ginger. Redistribute vegetables in single layer once again and cook for 1 minute longer. Transfer vegetables to platter. 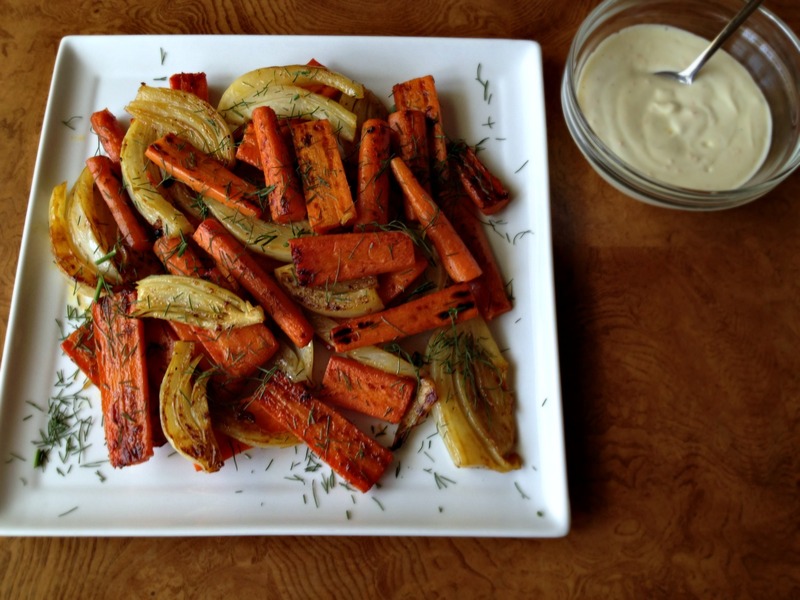 Garnish with fennel fronds and serve with yogurt sauce. What a beautiful dish. 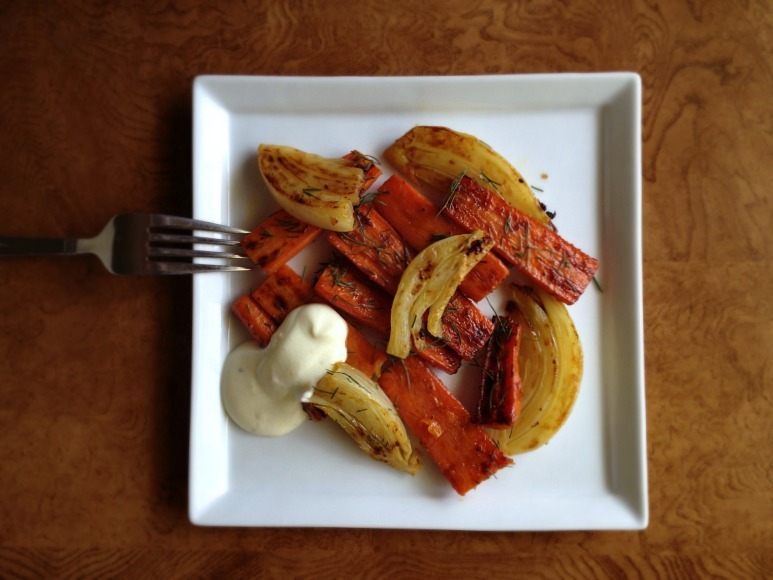 I love love love cooked fennel and am always looking for new ways to make it. The orange yoghurt sounds a gorgeous introduction to spring too. 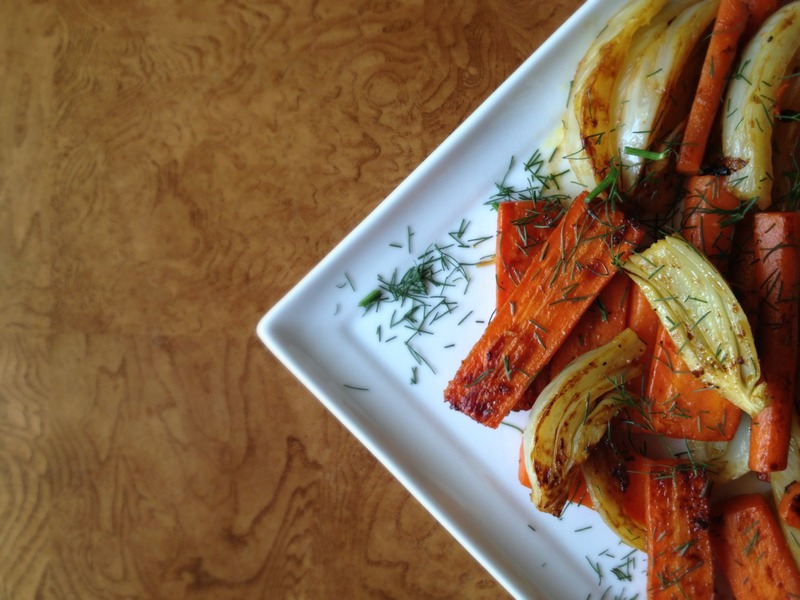 I’m making pork tenderloin with fennel and garlic tonight and now I wish I had carrots too. I may need to make that yogurt sauce to go with. Bring on summer! I agree… I like spring for a few minutes just to know winter is over, but it’s really the gateway to summer. Love the idea of a transition dish! Also, the yogurt sauce sounds fantastic. 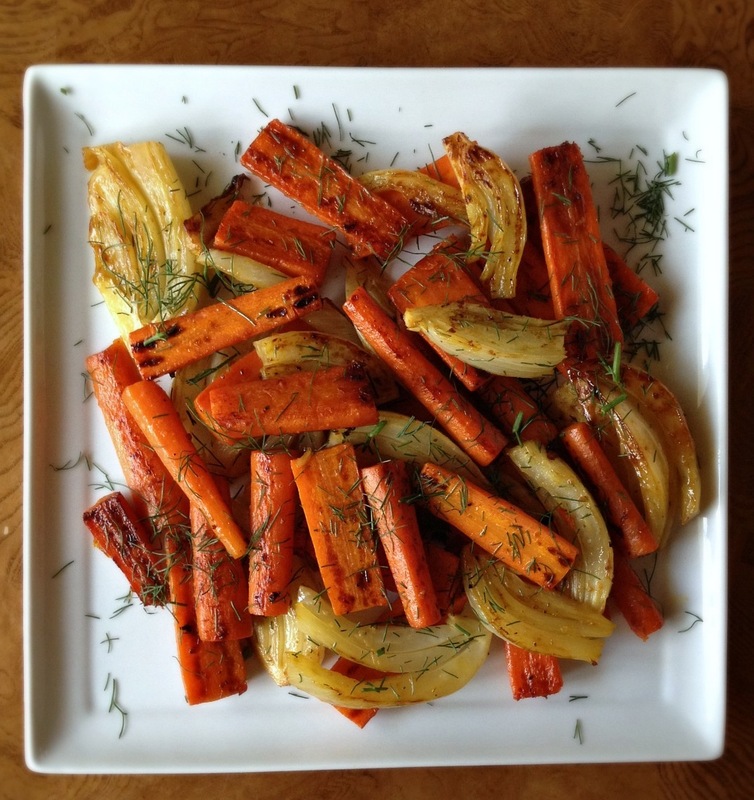 I’ve been looking for good dishes to bridge the gap between winter and spring. Looks wonderful! haha, this is kind of how i’m feeling :) love the idea, and it looks scrumptious! !